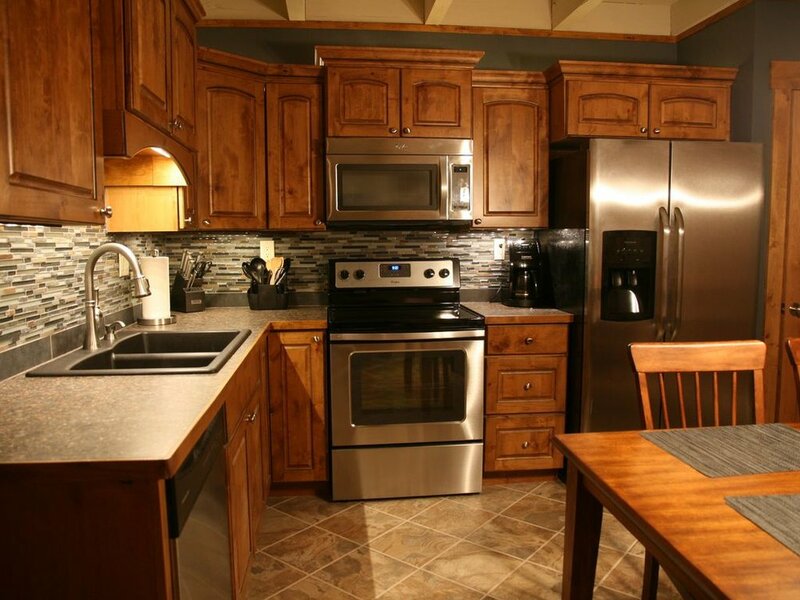 Why not indulge yourself in our beautiful five-star condo with very attractive rates! You'll get more for less money and lower fees than you might expect! Our calendar is kept current and our rates are good through 2018. We take pride in how our guests validate what we have to offer. We have 110 compelling Reviews! We are in the heart of the beautiful Wildernest/Eagles Nest area in Summit County. You will find that everything in this updated mountain getaway has been nicely appointed and we mean EVERYTHING. Our guests are enjoying our brand new top-shelf kitchen with stainless steel appliances, custom knotty alder cabinetry and woodwork throughout, custom stone gas fireplace, brand new furniture and furnishings throughout, 3 new LCD TVs, new paint, new carpet and tile, completely new tiled bathrooms, new windows and coverings, new linens, new EVERYTHING! Property management recently saw our unit has said it is one of the nicest if not, THE NICEST unit in the Treehouse complex. Please help yourself to our reviews from guests and see that every season is represented. 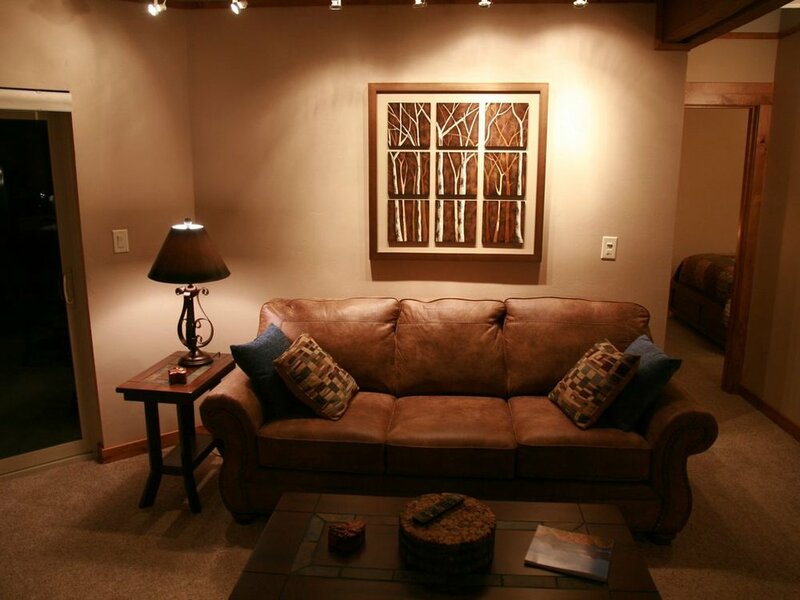 Our condo is conveniently located in the Wildernest/Eagle's Nest area of the White River National forest. We are just minutes from top recreation areas:Dillon Lake(3.5 mi) Keystone (10 mi), Breckenridge (17 mi), Copper Mountain (14 mi), and Arapahoe Basin (14 mi). Vail and Beaver Creek are also within easy driving distance. The FREE Summit Stage Bus conveniently picks up a short walking distance from our unit. It provides service to most areas, shopping centers, and restaurants. If skiing doesn’t strike your fancy, the area offers boundless year-round activities. Located in the White River National Forest, there are hiking and snowshoeing trails right out our back door. The Blue River runs right through Silverthorne and offers some of the state’s best fly fishing. Beautiful Lake Dillon can be seen as you drive up Buffalo Mountain, and offers recreational activities such as sailing, canoeing, kayaking, fishing, and is a great spot to have a picnic during those warm summer months. Nearby Dillon Amphitheater hosts live concerts and shows throughout the summer. Both the kids and adults will enjoy relaxing in the beautiful Treehouse Clubhouse. You will find three hot tubs, a heated pool, dry sauna, racquetball, workout facility, pool table, ping pong, arcade games, and tennis courts (open seasonally). In the Clubhouse, you will also have privileges to a very large common area with lots of seating, a full kitchen, lounge area, and big screen TV. Great for entertaining large parties. Our unit has 2 bedrooms and two tiled bathrooms. 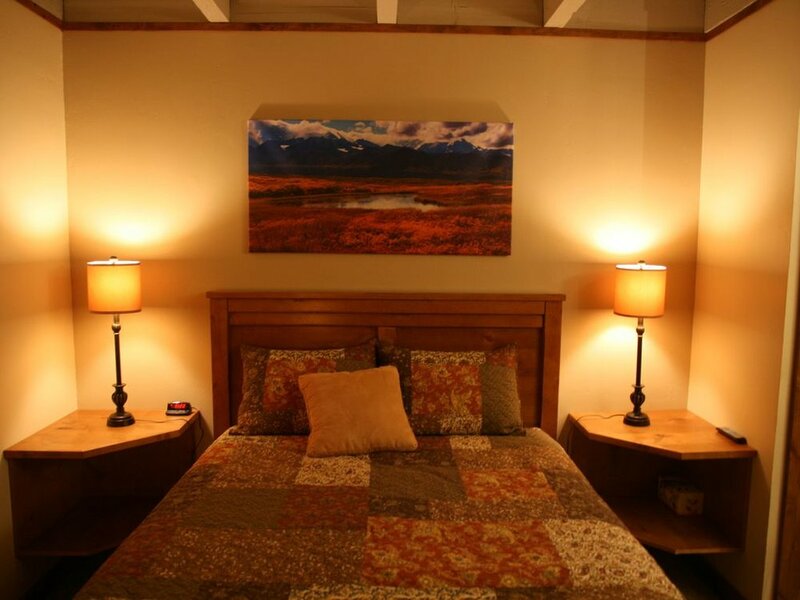 The bedrooms have Queen size beds and have brand new wall mounted 32"LED TVs with cable access. There is also a very comfortable queen size pull-out couch with upgraded mattress in the living room. We also have a twin-size floor mattress to accommodate additional guests. We provide fresh linens for all four beds. The living room has a wood burning fireplace to keep things nice and cozy. Also, a 46'' Smart TV and sound bar, DVD player and a collection of DVDs are provided for your enjoyment. If you can't find anything to watch on TV, we keep several board and card games on hand. You will have access to our unit's ski locker located just outside the front door. This will give you a place to store your gear without cluttering the living space. Many of our guests have commented on how nice it is to have a laundry facility nearby, just across the atrium on the same level as our condo. There is a larger laundromat next to the the clubhouse as well. Our unit is ground level and 15 steps down from the parking area. Our condo is smoke-free and pets are NOT allowed as per HOA regulations.